Is Love Really Worth it in the End? For some it’s met with a sense of nostalgia and wonder towards the years we’ve left behind. Did we give it all we had? Did we make the right decisions, did we spend our time well, invest enough, give enough, love enough...the list goes on. They always seem to bring about an array of emotions. In life, we encounter endings through all different circumstances. We quit jobs, move away from cities, and experience loss in relationships we’ve loved deeply in. I know change can be good, but the process of endings have never come easily for me. This past year I’ve experienced the difficulty involved with letting go of deep friendships as a result of a change in circumstances. I’ve dated and endured the hardship associated with the inevitable alternative outcome to marriage - the break-up. Hardest of all has been the perpetual state of endings my family has endured through the grief process as we continue to watch the sickness my dad has been suffering with for years take even more from him each and every day. With each passing year, endings certainly don’t seem to be getting any easier. Sometimes it feels like loving deeply comes with a cost and in my darkest moments I’ve questioned if the cost of loving someone else is actually worth the pain we trade it for in the end. Not too long ago, I was out with some friends when I unexpectedly ran into someone I once loved, along with his wife. You know that feeling you get when something like that takes you by surprise? Yea, that one is how I felt. I hadn’t seen him in years, and though no longer ‘in love’, when I saw him I still felt a sincere sense of care for him in my heart. As I drove away that night, I started to beat myself up about it. Why did I care so much? Then, suddenly I heard these words as clear as day. They were so pressing, I felt the need to speak them out loud in my car, over and over again. 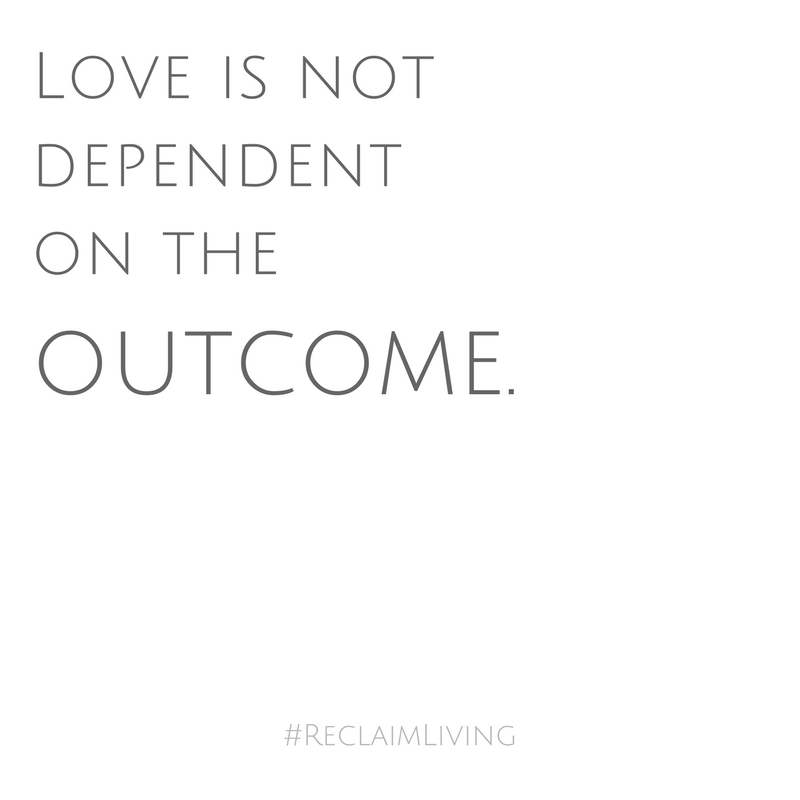 Love is not dependent on the outcome. This truth - so simple, but so profound. These words brought about a sense of grace for myself, further healing and ultimately renewed hope. Pure, genuine, true love is not contingent on reciprocity or the outcome. In fact, it’s most genuinely displayed when expressed towards someone who may give us nothing in return. Once love is given, it’s never wasted. We don’t need to look to the past regretfully, but we can look back with gratitude for the opportunity we were given to love at all. Maybe there’s an existing relationship in your life that has you questioning if you even know how to love. Maybe your marriage has fallen on hard times and arguments seem to be coming from every which way. love always creates new life! It reminds us of the truth, reveals the good of others and it has the ability to shape and transform us from the inside out! You see, we don’t love because we’re certain our relationships will result in a happy ending. We do so with full confidence that love is a gift always worth giving. Even though, as C.S. Lewis puts it, we run the risk of our hearts being ‘wrung and possibly even broken’ - when we vulnerably risk our heart’s, and allow them to align with another humans’ a supernatural connection takes place, and that is always worth it. Until we’ve felt the pain associated with a deep sense of loss, we may never have known the transforming power behind the love we gave. 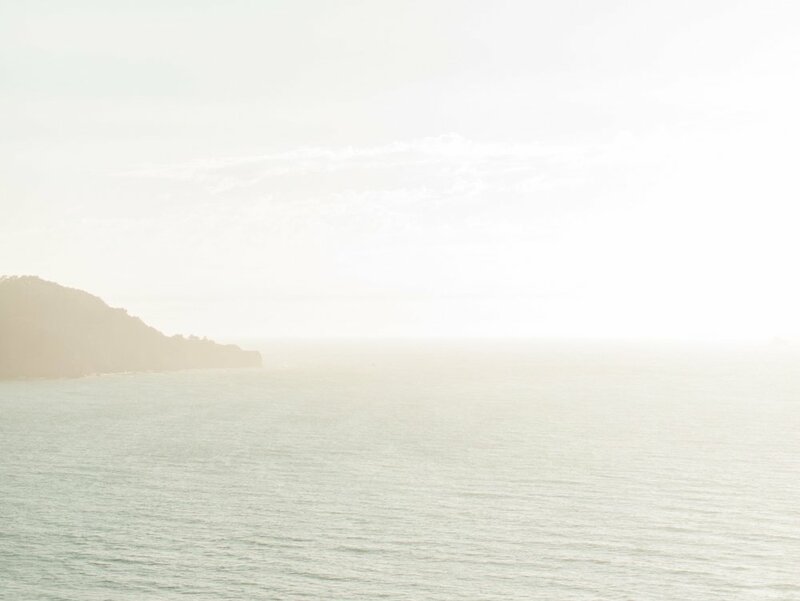 Whether it's parting ways with a friendship, the sudden loss of a loved one, the ending of an intimate relationship or the difficulty which comes along with fighting for those you’ve committed your life to – when we loosen our grip on the outcomes…we’ll begin to experience the freedom that comes through freely giving our love to others, regardless of the outcome. If we love with the greater good in mind, then the ending or a rough patch most certainly doesn’t have the power to rob that love of its value. When I circle back to those dark moments where I ask myself – was love worth it? I’m met with a resounding YES! To love well is a life well spent. Love is absolutely worth it. As we embark on the year ahead and seek to pursue love, may we remember the bigger picture. Love is our investment in another human soul - regardless of the outcome. Love can be hard, but it's what we’re called to. No regrets, no waiting for something in return, no with-holding out of fear. Even if the ending isn’t the way you would have written it, here’s to investing with no regrets, loving like we’ve got nothing to lose and making way for the connections we've built through the love we've given to create a whole new life, meaning and legacy of their own. Years from now, imagine the tales our love stories will tell.